Full Spectrum CBD for wellness & beauty. Our CBD products nourish and relieve and are made with only certified organic ingredients to restore the skins balance at a cellular level. Enjoy the benefits. Cannabis Aromatherapy. Our aromatherapy products are made with 100% Cannabis Essential Oil to promote a calmness within. Workshops & Events. Our events promote a healthy lifestyle for the creative at heart. We welcome you to the experience. For over twenty years we have been creating herbal remedies with organic and wildcrafted ingredients. In 2017 we began formulating with CBD because we were concerned about aging and the affect it has on our skin and our bodies. We create clean beauty skincare solutions and lifestyle products that are safe and sustainable. CBD has really changed our well being and has enhanced our daily rituals. It is a powerful addition to the organic and adaptogenic blends we make. With inflammation often being the root cause, cannabinoids’ anti-inflammatory, antibacterial and antioxidant properties can reduce puffiness, swelling, and even soreness. We embrace the beauty of aging, and we are going to feel and look radiant along the way! Part of feeling good is taking care of ourselves, body, mind, and spirit. We believe that making is a form of self-care, and making by hand nourishes our lifestyle and inspires us. We took this philosophy to heart when we started Make & Mary™. 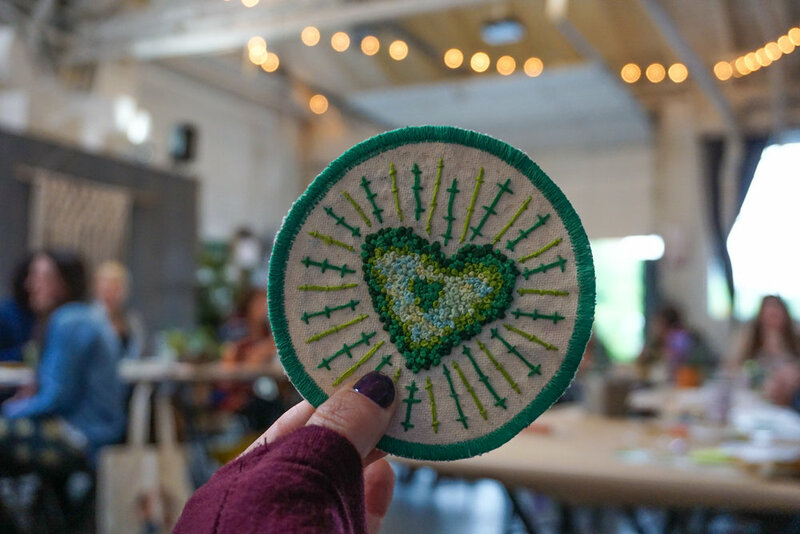 What began as an opportunity to teach and explore the world of cannabis through art and design, blossomed into a community for those seeking to be highly inspired. Thank you for visiting and being a part of our tribe! Make & Mary™ was established in 2016 and is woman and minority owned.